While Death Cab For Cutie singer Ben Gibbard’s split from his two-year marriage to Zooey Deschanel may not have been the best thing to happen to him in 2012, it could prove to be the best thing that happened to his side-project band, the Postal Service, which hasn’t toured since the release of its only album, the mega-selling Give Up from 2003. Freshly minted bachelor and Postal Service front man Gibbard announced a 10th Anniversary Tour starting in April to mark the decade since the album’s release. The band’s first tour in 10 years includes already sold-out stops in more than 20 cities (not to mention the Sasquatch Music Festival—sorry, it's also sold out) as well as the UK. 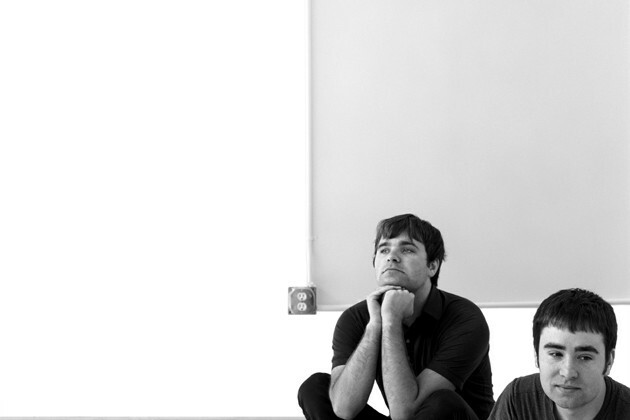 The Postal Service plays the Rose Garden on July 17 and tickets go an sale this Friday at 10 A.M. The band’s hit song, “Such Great Heights”, was covered by Iron & Wine’s Sam Beam shortly after its initial release, and it was featured prominently in the indie film Garden State. The song’s popularity reached its peak in the mid-aughts, appearing in nearly half a dozen commercials—including an especially psychedelic M&M's ad (see below)—and the TV shows Veronica Mars and Grey’s Anatomy. Sub Pop Records has released a special deluxe limited 3-LP edition of Give Up, the second best selling album in the label’s history after Nirvana’s Bleach. Tickets go on sale this Friday, Feb 22 at 10am. Visit RoseQuarter.com or call 877-789-7673 when the time is right.